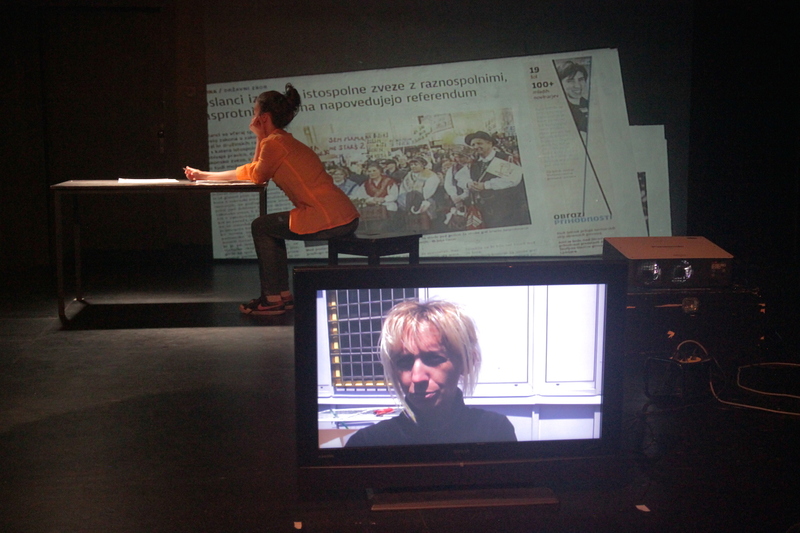 In the end of May 2015 I participated in coproduction between two Slovenian theatres Slovensko Mladinsko gledališče and Gledališče Glej on festival Prelet. It was a one week production workshop where theatre directors and actors were separated into three groups: one was working with musician, one with coreographer and one with visualist (me). 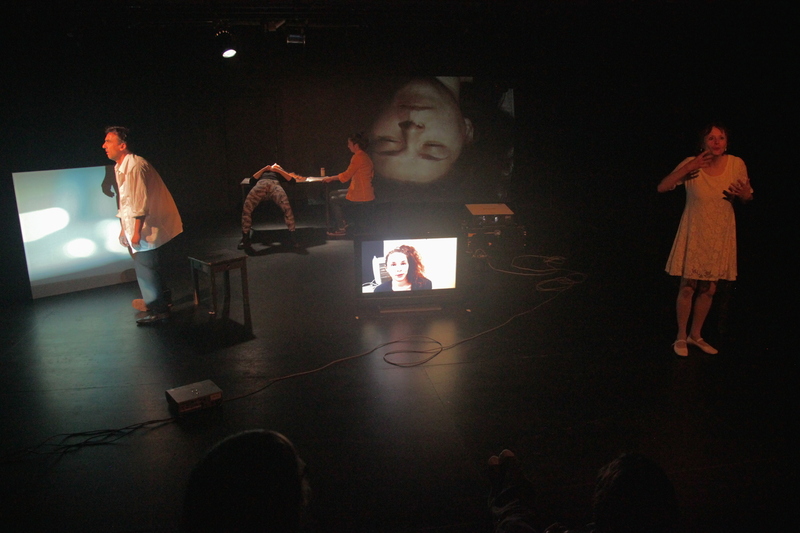 We made a 20 minute performance in four days and presented it to the festival public on day five. It was a pleasure working in a group with Daša Doberšek, Dragica Potočnjak, Robert Prebil, Nataša Keser, Sandi Jesenik and Zala Sajko.